That’s right friends. You heard correctly. 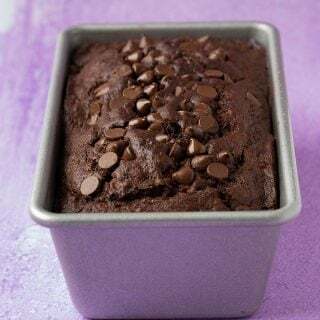 This right here 👆🏻 is a 6 ingredient chocolate treat that you are going to LOVE. Hi from San Francisco friends! *waves* We have just made our way from Los Angeles to San Francisco on what was an absolutely stunning road trip. The coastline of California was even more beautiful than I ever imagined. Love to show you photos very soon! We are now enjoying a couple of days in San Francisco. I can’t wait to tell you about all the mouthwatering treats we have eaten already! 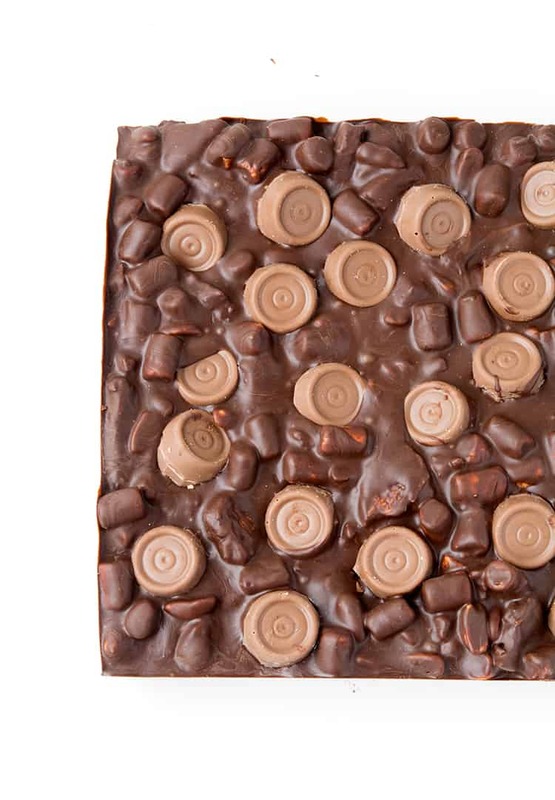 But right now we need to talk about this Rolo Rocky Road. Can you even? I mean talk about an over-the-top downright delicious dessert. I had to stop myself from eating the whole thing because chocolate caramel is my weakness. 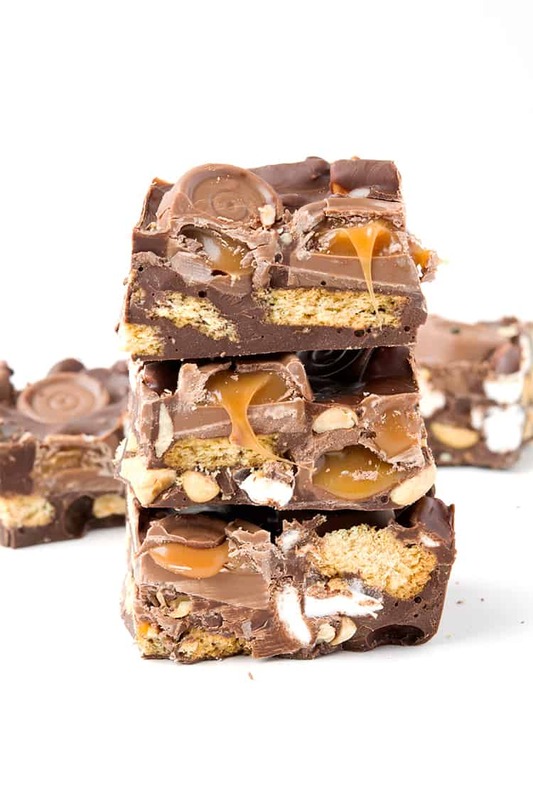 And when you combine chocolate and caramel with rocky road, you get one sweet treat. Plus it’s a cinch to make – just the way we like things around here. If you’ve been around here for a little while, you’d know I have a bit of thing for rocky road. 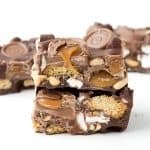 I’ve made Smores Rocky Road (still one of my all-time favourites), Cookies and Cream Rocky Road and Easter Egg Rocky Road, oh and Rocky Road Chocolate Fudge! 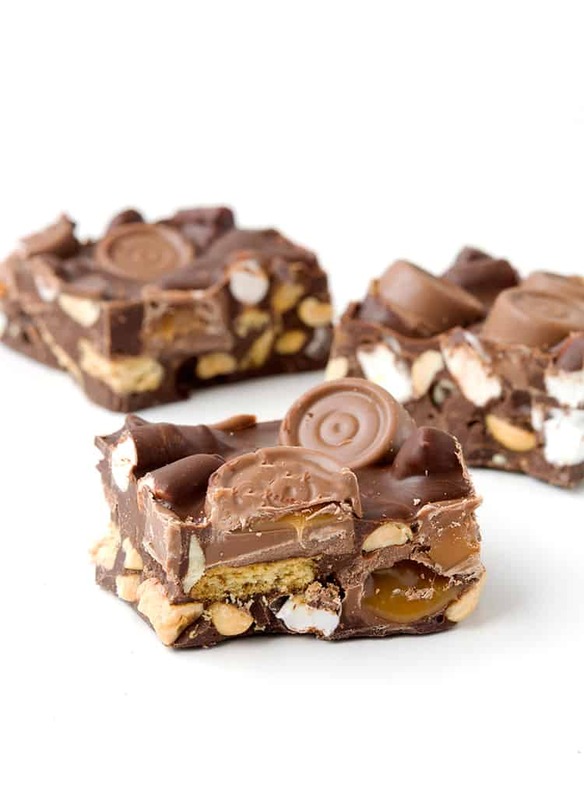 Easy Rolo Rocky Road with mini marshmallows, peanut butter and cookie crumbs. Grease and line an 8 inch square baking tin with baking or parchment paper. Place the milk and dark chocolate in a large bowl and pop in the microwave, stirring in-between 20 second bursts, until just melted. 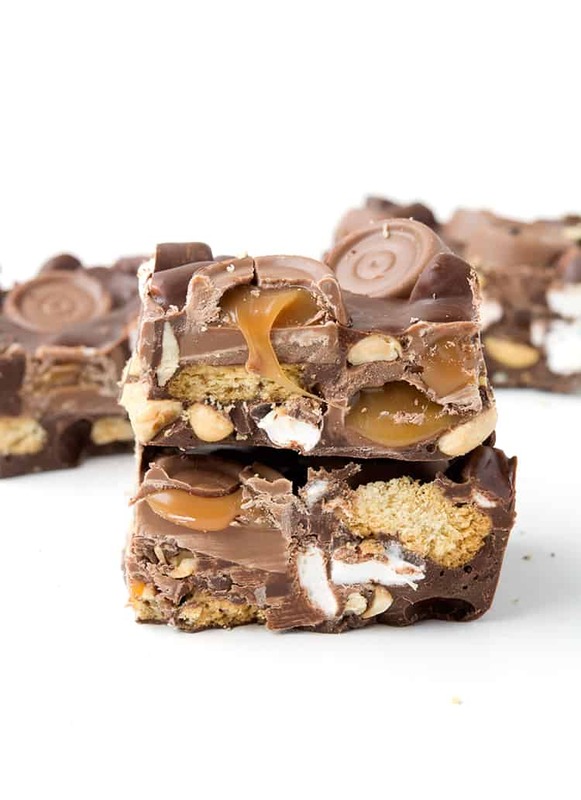 Add the roasted peanuts, marshmallows and cookie pieces into the chocolate and stir until it is all covered. Add half the Rolo chocolate and stir. Pour the chocolate mixture into the prepared tin and spread out into one smooth layer. Press the extra Rolo pieces on top. Refrigerate for at least one hour or until the chocolate is set. Cut into small squares and serve. Keep in the fridge in an air-tight container. *You can use any store-bought plain sweet biscuit/cookie for this recipe. Absolutely delicious… so easy to make aswell. 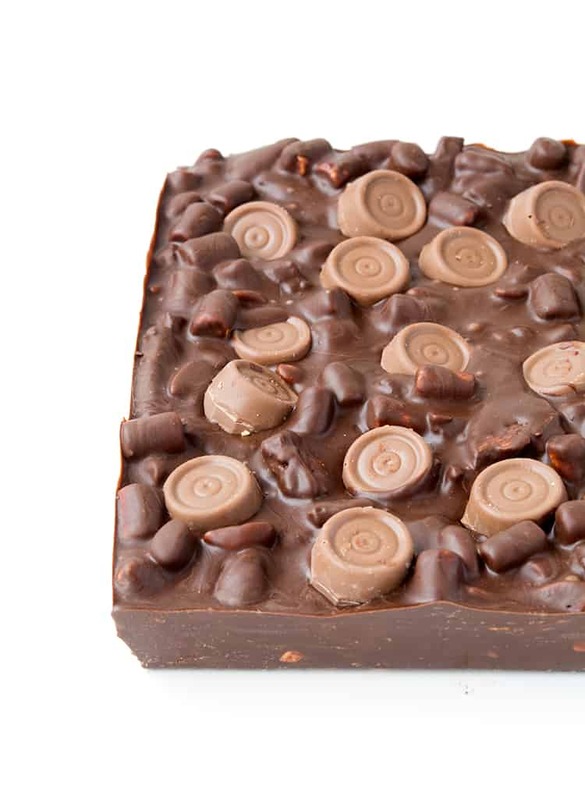 I am making this for mr Rolo crazy friend😀 Is is bets to make it eh day of or do you think it can be made a few days ahead if well wrapped and kept in fridge? Just wanted to let you know this was amazing. I did make it several days ahead, wrapped tight in fridge, you would never had known. Everyone loved it , ridiculously easy to throw together! Good quality chocolate is key. I will make one addition and add some course salt to the top next time (that’s just me, love some salt with my chocolate)! I love looking for new recipes. 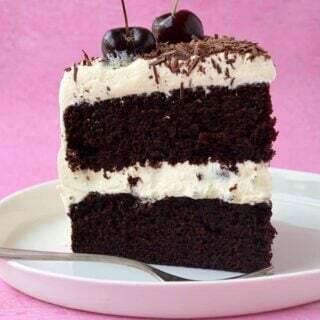 This one really made me want to bake at 11.00pm! Hi Julie! Your comment made me smile – I totally know that feeling! I’m so excited your going to try one of my recipes. Let me know how you go – I hope you love it! Thank Suzie! It is a really easy dessert to make! Oh yes I really enjoyed visiting San Francisco, it’s a very pretty city! Oh dear god I made the mistake of clicking in to this post while I was having a massive chocolate craving. This looks incredible! 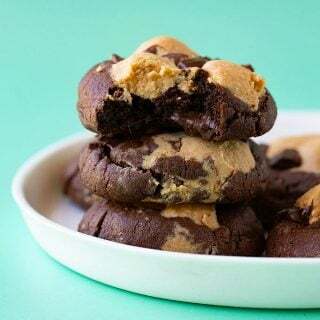 Hi Jessica, I love all of your recipes., These look so good, I’m going to try them this ! !Thanks for sharing.Merry Christmas!!!! Thanks Aria! I hope you enjoy them 🙂 Merry Christmas! He this sounds amazing what kind of chocolate,do I use chocolate morsels in a bag ? 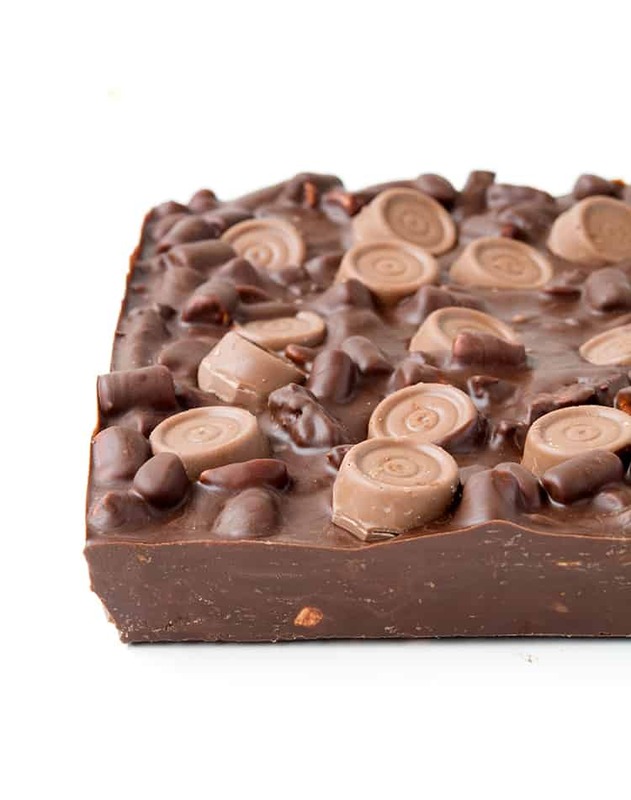 Hi Wanda, I would recommend using either a block of chocolate or melting chocolate, chocolate chips are designed to hold their shape when heated so they aren’t the best for melting. Hope that helps!